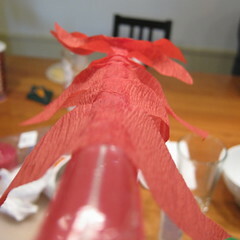 We even added flames to a party blower so he could breath fire. We made the tail so he’d still be able to sit down while wearing it. I just noticed these pictures are even before the pupils were in the eyes! Yikes. 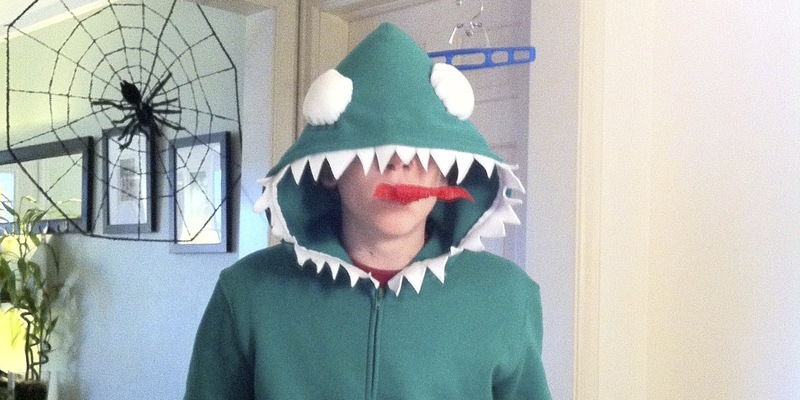 Anyway, the costume was a big hit and since it was comfortable he kept it on all night at both parties. 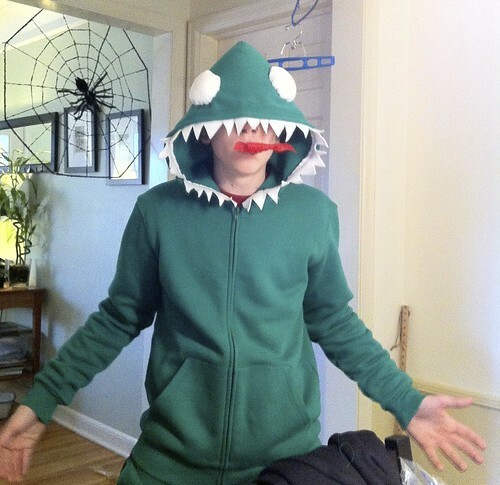 He liked the sweatshirt part of it so much he said he wanted to wear it even when it wasn’t Halloween. This costume was pretty easy to make, though it took two of an afternoon to cut everything and then sew and glue it all together. Really the hardest part was finding a green sweatsuit! 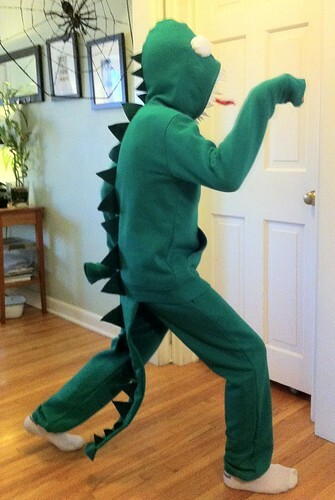 This costume was made to fit a 13 year old boy, it can easily be done for other sizes by changing the length of the tail. 1. 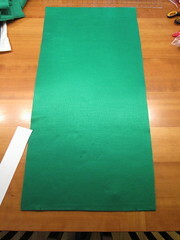 Make tail – Fold the large piece of green felt in half lengthwise, it’ll be 18″ x 36″. On the open side mark how wide you want your tail, ours was 12″. 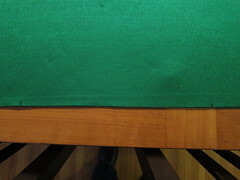 On the fold end mark the center of the fabric. Using your yard stick and a draw lines between your width marks and the center mark to create a triangle. This line will be your stitching line. 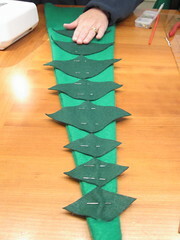 Pin the felt together and sew along those lines with your sewing machine. 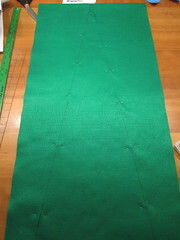 Now sew inside the triangle 1/4″ from the first stitching line. This will be your channel for shaping wire. 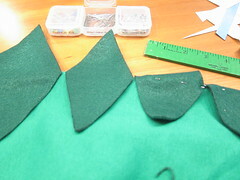 Trim the excess felt from the outside of the first stitching line leaving about 1/4″ seam allowance. Turn right side out. 2. 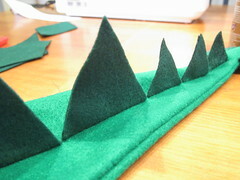 Cut out the spikes – We used the templates from See Vanessa Sew for our medium and large spikes. Then we made a smaller template for a spike that was 1 1/2″ across the middle of the diamond. 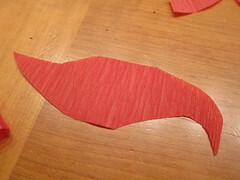 Cut the templates out of cardstock or cardboard. Use the templates to cut 11 small diamonds, 5 medium diamonds and 6 large (you may need a different amount based on the length of your top and tail). 3. Attached spikes along the tail – Pin 3 small, 2 medium and 3 large diamond down the length of the tail. (You want the spikes to start at the top where the bottom of the shirt hits.) The center of the diamonds should run down the center of the tail. Pin them in place and then sew down the center of the diamonds. Make sure to put the diamonds right side down if you have a wrong and right side. Put fabric glue on one side of the diamond. 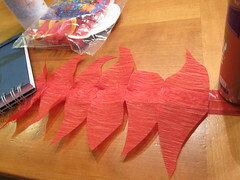 Fold both sides up and press together to form the spikes. Don’t worry if they don’t match exactly, just go back and trim them up if you want. 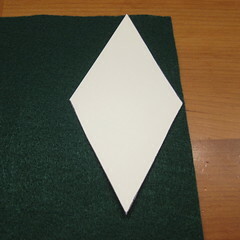 Fold and glue 4 more of the small diamond creating 4 triangles. 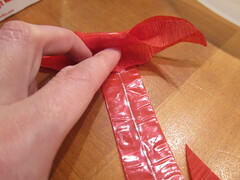 Glue to then end on the tail, two on each side, one on top of the other. 4. 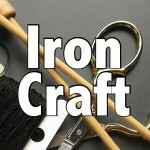 Add shaping wire – Straighten out the two hangers (pliers can help with this). You will be inserting them into the channels on either side of the tail. We wanted our godzilla to still be able to sit easily, so we trimmed the hanger wire so it only went as far up the tail as the upper thigh. 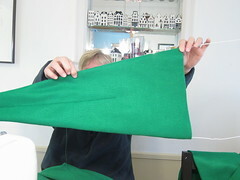 Then once it was inserted into the tail we stitched the top of the channel shut. 5. 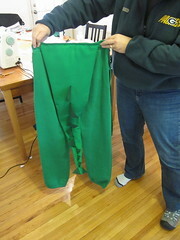 Sew the tail to the top of the sweatpants. Shape the wire at the end of the tail to make it curl up. 6. 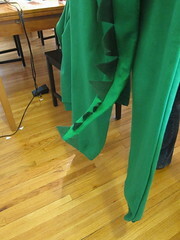 Add spikes to the top – Using the same method as the tail layout and attach spikes from the back of the head to the bottom of the shirt (Godzilla doesn’t have spiked on the top of his head). Start with smaller spikes and move to bigger. Folding the back of the sweatshirt in half makes it easy to line the spikes up down it. 7. 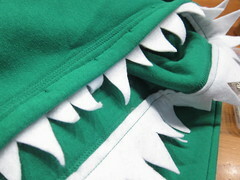 Add teeth – Measure around the edge of the hood starting and ending where it joins the shirt, ours was 30″ long. 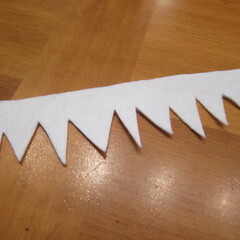 Using the long strip of white felt cut random sized teeth a slightly longer length than you want them when finished. 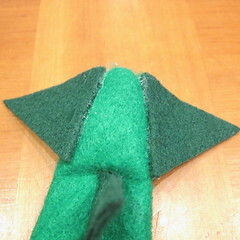 Sew to the inside of the hood. Trim any excess. 8. 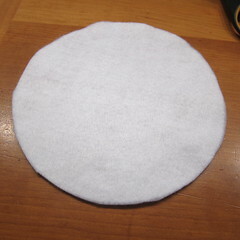 Add eyes – Cut two 6″ circles from the white felt. Baste a line of hand stitches about 1/2″ from the edge and pull tight. Stuff. 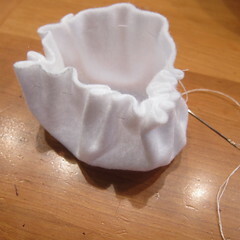 Sew shut. Pin onto the hood, you want them to be closer to the top than the sides. Hand stitch into place. Cut two small circles from the black felt for pupil and glue onto the eyes. 9. Flame blower – Roll out the party blower and use a couple small heavy thing to hold in place. Cut the streamers or tissue paper into rectangles and then shape the ends of the rectangles into flames. Put tacky glue down the center of the blower and attach the flames. Let dry then roll back up. Now you can breath out fire. 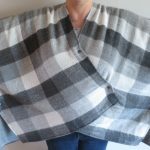 6 years ago by Kat in Crafty Mom , Halloween , Holiday , Needlecraft , Projects , Sewing , Sewing Projects | You can follow any responses to this entry through the RSS feed. You can leave a response, or trackback from your own site. I can’t believe how tall he has gotten! Great project and I would probably wear one too. Although, I would attach the flames to a kazoo so I could make noise and breathe fire simultaneously. I know and this was last year. I’m sure both things are going to look older when I see them over Thanksgiving even though it’s only been since July.